The path to happiness is often a path of letting go, removing what no longer serves you and not adding to or gaining something. Learning to let go of the past, in particular, emotions, attitudes, bad habits, draining relationships and any other “baggage” that is holding you back is the key to our inner happiness and long overdue healing. In order to make way for amazing wonderful things to come we must leave our comfort zone and “Let go”. Learning to let go can be somewhat scary, but it is essential!! Learning to let go of old ideas, people, habits and any other situation that no longer serves you is the key to inner balances and self-growth. A huge block to “letting go” for personal growth is that the future is always unknown. The future is unpredictable, and by letting go, a part of us feels as we may loose an essential part of our life, our identity, a friendship, and a major element of our past, our personality, family or values. This can be a stumbling block, but to truly move forward and embrace what the future has we have to shed our old skin, move forward. Here is some great examples of dysfunctional living habits that are worth reconsidering and letting go of, they can offer you a temporary relief, but in the long run just add stress, strain and are just simply unhealthy for the mind body and soul. Avoiding work obligations and procrastinating. Consuming too much sugar, junk food. Abusing prescription & illegal drugs. Taking on to many obligations. Staying in draining, abusive, emotional dysfunctional relationships. Self harm – physically, emotionally or mentally. Try and commit to yourself and let go of these habits!! Swap one bad habit for a good habit, instead of emotionally eating yourself to a larger dress size, take it our on the cement (pavement) and walk out any frustrations, sadness or anger! Instead of staying up late, record that TV show and treat yourself the next day after work.. I know what I will be letting go of, and now that we have a Full Moon in transit in the past week it makes for a great time to sit down with yourself, and really think long, hard and deep about what is not working in your life? What feels like resistance in your world? is it that job, or a bad habit (like excessive sugar consumption), worrying about your diet or if you have enough time to please everyone ( whilst neglecting your own needs) . I can promise you, this moon will be a big one. .. This month we will experience a powerful Full Moon in Scorpio on April 22, 2016. This supercharged Full Moon will amplify our desires. Scorpio is a passionate sign, in everything it touches, self, relationships, work and play and this energy sets the stage for meaningful personal transformation this Full Moon. Scorpio’s are intense and feel things deeply. So prepare for a Full Moon of extremes. Full Moons often leave us supercharged, some of us have intense dreams, some of us can’t sleep at all, some may have extra energy or become flat, and if you are anything like me you become super sensitive in more ways than one…Even if you don’t follow astrology one can’t deny that energy is charged up and you at one point in your life you have felt different when a Full Moon approaches. The passionate, dramatic intense waters of Scorpio seem to be in direct opposition to our practical drive to survive this Full Moon and this can cause tension between our inner and outer worlds, causing some of us to reach a breaking point. Have you felt the pull and push of late? Full Moons are like axis that balance’s the energy between the Moon and the Sun, the balance of the yin and the yang, our job during this period is find a balance whilst everything is at it’s fullest extreme. Trying to juggle these cosmically opposed forces and find a balance of our receptive and the expressive self. The Sun is in Taurus during this Moon phase and will act as an anchor this week to help hold us to our current path without getting to lost in the paradigms of Venus romantic influence who is dancing alongside wild Uranus. These comic influences will strike a chord in our personal desires as our personal relationships become an experimental playing field as this Scorpion Full Moon bring up desires of strong intense desires, emotional and sexual running deep in our conscious. The Moon is where our feelings live and when the Moon is full, feelings and energy can be at their peak. Be cautious of emotional discontentment, as this is a time where past feelings can stir and rise up, so fight the urges to be moody, snappy, suspicious and secretive. By giving into these negative emotions can block your very heightened creative energy, so just stop.. breath.. and don’t feed the negative emotions any more fuel!! Happy, powerful creative thinking is what needs to be practiced during this Full Moon. This Moon will propel us forward in delving into the deep mysteries of our hearts and will also allow us to follow our heart with decisive action. This Full Moon the Universe is waking us up to our deepest, highest desires, it will also give us a nudge and the potential to achieve our desires and the courage to go after them. Scorpio’s don’t just settle, they go big or not at all, so this Moon is challenging each and every one of us to Go Big. 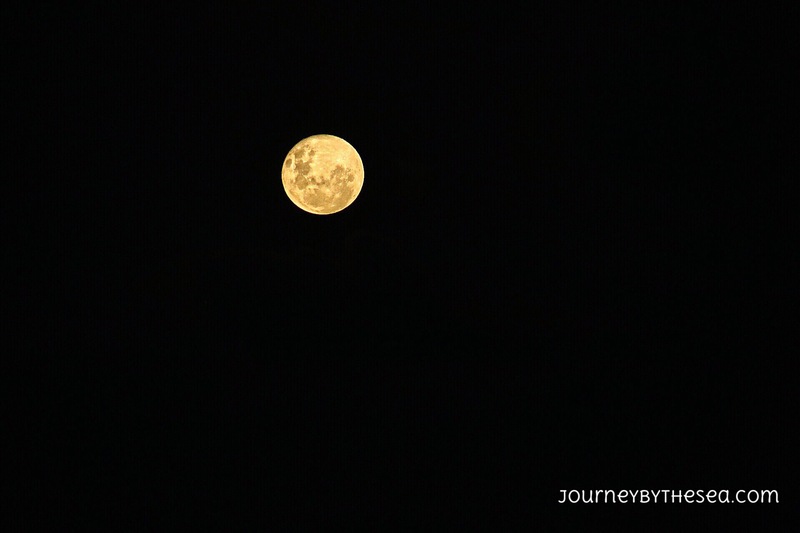 Full Moons are a time that bring closure to matters, big and small. During this moon, it is time to stop talking and start doing, we need to rely on our actions to say what needs to be said. The Full moon in Scorpio’s energy will shine a light onto anything hidden, on parts of us that we choose to lock away and ignore the most, parts of our self we never act on or heal, sometimes so much so that it’s time to stop the doubting self – talk and start the doing, start healing. Death and rebirth is the theme of the week (Not in a physical sense). We cannot receive the new in our life until we purge the old, old pattern’s and emotions that no longer serve you along with releasing old energy, send it all to the light for transmutation. It is good for focusing and doing psychic work because of the deep emotions and desires Scorpio brings. There is great energy this month to complete things that may not of received your full attention last month. Maybe you felt to scattered or the energy did not feel right at the time?! the good news is.. you will have the means and strength to focus on these certain areas and complete what needs to be done. It’s truly a time to go big or not at all! Don’t give into the tension, and there is no mistake there will be tension, internal and externally! It’s time to step outside your comfort zone, Be Courageous!! You are being asked to feel this Moon, instead of thinking, and to ACT instead of think. Forge ahead as this Full Moon you will have a very strong sense of purpose. Solving mysteries and getting to the root of the issue! Death and Rebirth, Purge the old and make way for the New!! Purging intense emotional matters that no longer serve you, such as obsession, shame or guilt. Intensity, extremes, physic awareness and a heightened sensitivity. By being thankful for what you do have. When we tend to focus on what we want or where we want to be, we neglect that we have, exactly as it is. What if one day it was all to disappear? how much DO you take for granted your life, big or small. For example; the only time I would not take my body for granted was when it was sick, or you only appreciate the fact you have washing machine was when it broke down. Or when you don’t have toilet paper??? By nourishing and being grateful for what you have already, you transform your perspective on life. By investing time by focusing on, and appreciating what we have brings about gratitude. Gratitude leads us to stop focusing on the things that are lacking in our life to all the abundance that already exists. What are the things you tend to take for granted? What do you plan to do about them? What are 3 things you are grateful for today? Try each day to stop and think about all the marvellous abundance that is already present in your life. Your job, Your home, Your arms and legs, Your boss that drives you nuts, because at least you have a boss. Giving thanks and taking the time to appreciate every and all aspects of our life, it makes us happier and more resilient to what life has to offer, it strengthens relationships with ones self and others, it improves health, and it reduces stress. The is you’re your false self-whilst your soul is your true self. The Ego is your false self, your Soul is your true self. For one to be truly happy ,you must learn to starve the Ego and feed your Soul. Happy New Moon Day and Happy New Astrological New Year Friends..
New beginnings abound with the Moon and Sun in Aries, the first sign of the zodiac…creating the first New Moon of the Astrological New Year! This month is birthing a new energy deep within your soul, and for some humanity and the planet! This is a wonderful time to initiate a new project, new ideas, start in a new direction, change something about the way you live. This New Moon send your creative intentions out to the Universe! Have courage, be brave and take a first step into this new and inspiring energy! Feel the fire of transformation wash over you as it energizes your inner truth and your positive thoughts and feeling’s and if you’re not feeling as fresh a daisy, here are some ideas for how to embrace the New Moon energy. As it is the new astrological New Year the Numerology Of The Month is 1., so just make a mental note that this is your number of the month and watch when it comes up. Meditate, download a meditation app, guided or non guided, do one minute and work your way up 20 min, I enjoy mediation before bed as a way to calm my mind, stop overthinking and relax before I sleep. this month meditation Mantra is Ayam .. chant it daily! Your Guiding Archangel For The Month Is Ariel: Talk to Ariel. she is wonderful at helping you manifest!! This Month chakra is your Sacral Chakra, Work on it! The Universal Law For To Reflect On this Month: The Law Of Divine Oneness ( Number of the month) We are all one. Your Ray This Month Is The 1st Ray: Red For the esoterically advanced! You’ve known this for some time. You are in fact, a wonderful leader of thought, spirit, education, expression, whatever it is your heart now lands on when you read this message. This is a clear nudge from the angels that you are to step up to the plate…time no more to turn your cheek and look for others to be the ones to make the change so needed in the world. Think of St. Joan of Arc and her bravery and passion for her message…she is the patron saint of those who are persecuted for their spiritual beliefs and for women in the service. Channel her divine energy, pray for guidance and clarity, and make a difference starting today. This is a new week, after a new moon, and the Universe is calling upon you now. You´re called upon to use your leadership skills to help an important cause. Through prayer, God, Joan of Arc , and other saints and angels will give you clear guidance as to how to be the best leader. Your Divinely guided actions and words will motivate others into positive work. A leader best serves by being a living example and role model, so live in such a way that others admire your integrity. 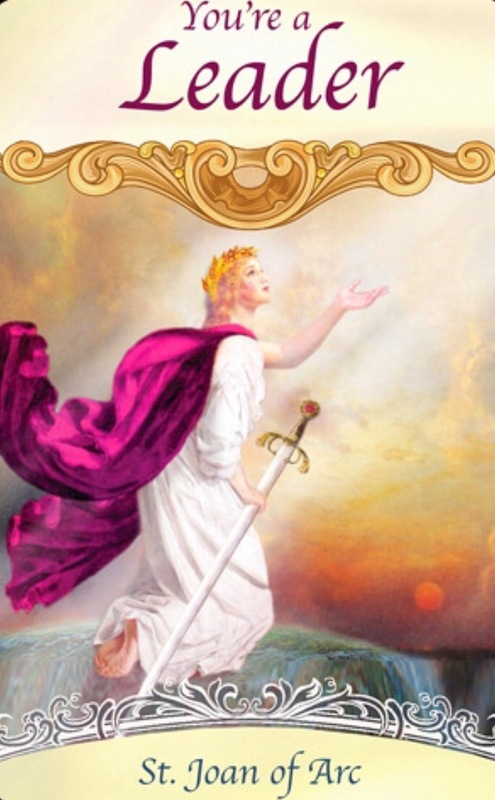 St.Joan of Arc is an inspiration to anyone who feels called to help. At age 15, the french farm girl had a vision in which she saw lights and heard voices (Saints Michael, Catherine and Margaret, among others) telling her to save France from the English invasion. Joan fallowed her Divine guidance, successfully led the French army to victory, and installed Charles VII as king of France. As the New Moon approaches us have you ever sat and wondered what people are talking about when they mention the “New Moon” and no it’s not a book in the Twilight series I am talking about. The “New Moon” is the start of the lunar cycle. The new lunar cycle occurs approximately once every 29 days. This is a time when the Moon, Sun and Earth, Moon are roughly positioned in a line, with the Moon sitting between the Earth and the Sun. This is why you can’t see the moon hovering in the night sky. This is often referred to ( and not just by Pink Floyd) as the dark side of the moon. We are still in that 48 hour time zone where New Moon wishes and intentions can create abundance. Make those wishes count. When you harness the energy with the power of pure intention, the universe is ready to manifest miracles. A great moon mantra to use to raise your vibrations and create positive mind set is “I see the New Moon and the New Moon sees me, I wish for abundance to come to me.” and Feel and imagine like what you intend on manifesting or wishes for as already yours.. Remember the Law Of Attraction states you attract what you think and feel. So the question is… Do you believe in magic ?